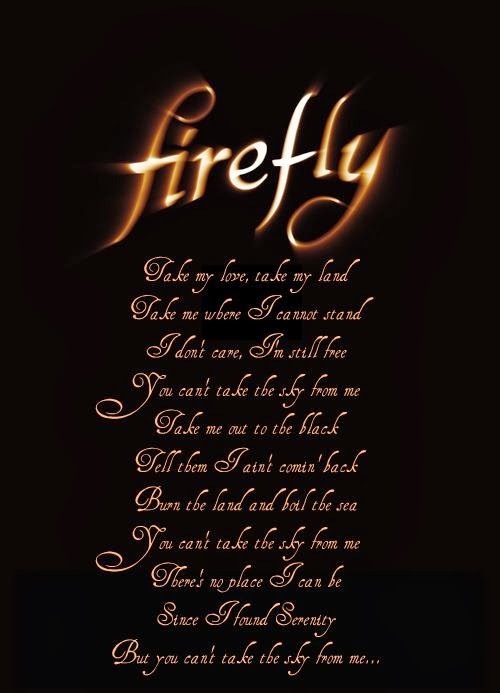 Welcome back to the Flying Pincushion and this week’s theme of Firefly! Much can be learned from these fantastic and mind blowing 14 episodes of geekdom’s paradise, a compilation of in depth characters, compelling story, and the tiniest of details that Whedonites drool over. First off, what kind of experience it would be to have the master storyteller Joss Whedon as a Game Master? Best. Game. Ever. Nerding out aside, what can we learn from the phenomenal mind of Mr. Whedon? As a Game Master you are telling a story and fleshing out your world are the players who participate. Often times your story will be flavored with combat and role play encounters. Every little moment counts, every little piece may end up playing an important role in your overall story. Joss Whedon holds a brilliant mastery over this skill and ensures that every little bit, every detail, matters. Mal Reynolds and crew take up a job from a man by the name of Adelei Niska. The job ends up all sorts of backwards with stolen medication being given back and Mal ensuring that Niska’s money is returned. However to Niska this is not so good. To him, reputation is everything, both of those he works with and his own infamous reputation among the underworld. This happened in Episode 2 of the Firefly season. In Episode 10 Niska returns when his space station picks up a signature that matches that of Serenity’s. Niska grows excited and sets forth plans to capture Malcolm to exact his revenge. Throughout this Washburn and Zoe have been fighting as their relationship becomes strained over the distance that Wash feels when Zoe and Mal go out on missions together. Because of this Wash insists that he accompanies Malcolm on their next mission, a milk run pick up. Things go south rapidly however as Niska’s men are waiting for them, killing their contacts and capturing Wash and Mal. Niska goes a little crazy with the torture following their capture. Mal and Wash do what they can to withstand it without breaking but the punishment takes its toll, particularly on Wash. Zoe shows up and barters for their release but Niska only relinquishes one of them, setting Wash free. He maintains his hold on Mal however, continuing the work of pain upon him. When Wash returns to the crew (with Mal’s ear in a napkin) they band together and plan to rescue Mal, risking life and limb to save him. As Mal continues to suffer beneath the hands of Niska his crew fights their way through bullets and blood to reach him. As a Game Master it is my duty and my calling to challenge my players. I will admit that on occasion I have done my darndest to kill them, pushing them to their limits to meet the challenge set before them. However, my players play a crucial role in the development of the story. As any Firefly fan-freak knows, Malcolm Reynolds is Serenity. He brings the crew together, the leader, the man everyone looks to for guidance and for the heroics. But Joss Whedon, in his infinite creative wisdom, kills Mal. Now I’ve killed players off before. I’ve had them fail a skill challenge and the result has been death. Tough combat encounters have claimed their share of both player and party member alike. But as a Game Master I need these players. Oft times I have built story arcs or created in depth npc’s because of a player’s character. 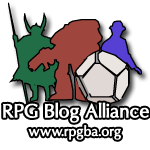 I create my little world around these players and when one of them dies the standard GM will leave them be and have the player re-roll a new character sheet. Joss Whedon didn’t do this. Malcolm Reynolds ran out of hit points. He failed his Endurance and Heal checks. Mal was fortunate enough to succeed on his Will saves; he never broke. He was however unfortunate enough to not have any hero points available. And as such Malcolm Reynolds, the captain of Serenity, died. And what does his Game Master Mr. Whedon do? Now we see the brilliance of Joss Whedon. You see, our players matter. Their characters matter. They’re more than just a sheet of paper, rolling dice, and notes scribbled in haste. As the Game Master we can do these kinds of things. From here we can see the real depth of Malcolm Reynold’s character, who he is beneath it all when nothing is left, and what he stands for. If I could get even one of my players to discover this level of connection with their character, this measure of depth of character, I will have succeeded as a GM. So thank you Mr. Whedon. Maybe next time around I’ll kill someone off just to see what they’re really made of. Besides, I can always bring them back and do it again later. It’s one of the perks of being a storyteller. I don't know. As someone who worked on the Buffy and Angel RPGs and went over every Whedon script and nuance in detail I would not want him to be my Game Master. They guy would be a sadist and then get mad and quit the game when you didn't get his vision. Timothy, I would be very interested in your opinion of how we did in our attempts to honor Firefly in our own ways. Thanks for the comment and for reading our work.